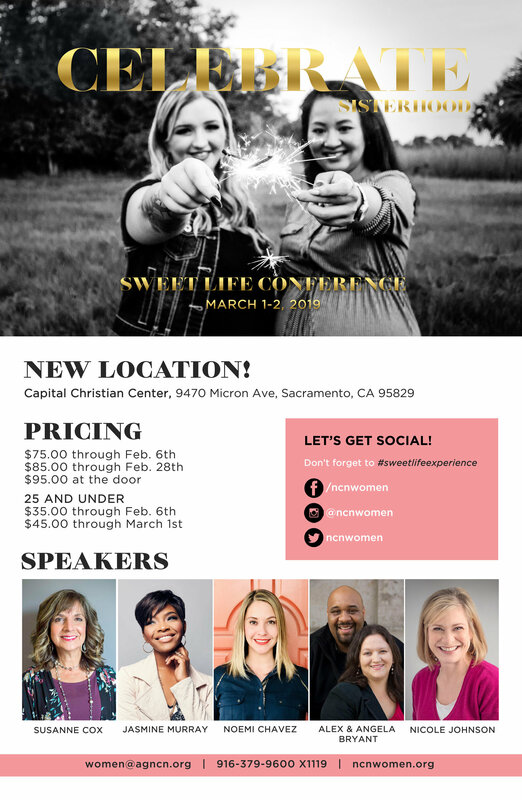 Sweet Life is a conference for Women in the Northern California, Nevada district. We gather to celebrate each other and grow in our walk with Christ. The conference is March 1st-2nd in Sacramento at Capital Christian center. Cost is $75 before Feb 6th, $85 until Feb 28th and $95 at the door. Follow the link to register online or see Becky Gregory at Crosswinds for more info.